Jakarta Provincial Government is committed to maintain clean water supply for residents through a piping system managed by the city-owned water operator (PDAM).
" We are continuously working to improve water supply services"
Yurianto, Head of Guidance Agency for Jakarta Regional-Owned Enterprises (BUMD) expressed, the city wants the whole society to get clean water service. 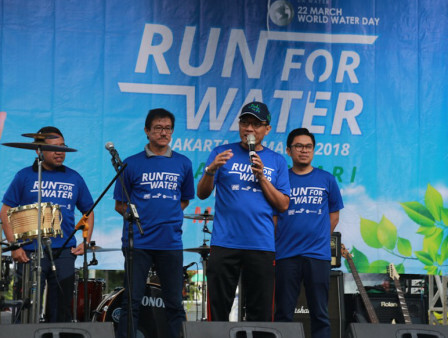 "We are continuously working to improve water supply services, especially for the less fortunate," he stated, when he attended in Run for Water in the commemoration of World Water Day in Car Free Day, Jalan MH Thamrin, Central Jakarta, Sunday (3/25). He wants Jakartans to actively participate in preserving water resources and using water wisely. "Water is important, but we also need to economize in using it. Water we use, but this is sustainability of its management must also be managed properly," he stated.